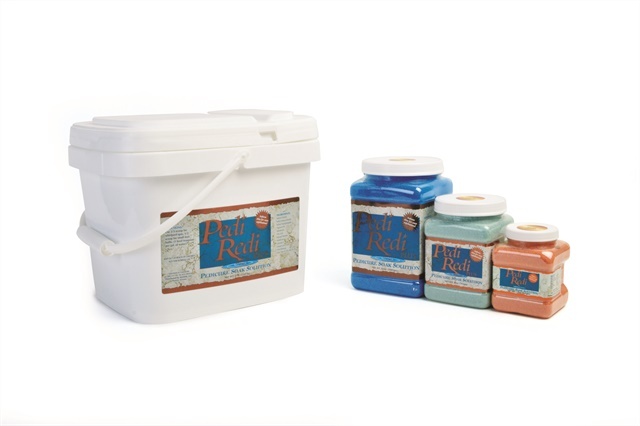 Pedi Redi Plus is a specially formulated powder combining sea salt, Epsom salt, and other key ingredients to clean the feet and soften calluses and cuticles for easy exfoliation. Non-foaming and completely safe to use in all pedicure equipment, it contains a cleaning agent to improve the ease and speed of cleanup, a combination of essential and fragrance oils, and vivid water colors. For more information, visit Pedi-Redi Plus.